Bollards are posts produced to endure high impact, and can be used effectively to guide traffic and protect against unwanted vehicle access. At Brisbane Commercial Gates Systems, we offer a range of automatic security bollards. Automatic bollards are the best option for those looking for a simple, low-maintenance solution. Automatic safety bollards are used frequently for office buildings, as well as around homes, car parks, sidewalks, and industrial premises. These vehicle bollards are a popular choice in securing your premises from unwanted vehicle access. Our automatic bollards are also a great alternative to arm barriers or automatic gates in locations where having this type of gate is unfavourable. There are many benefits to installing automatic bollards. Aside from safety and convenience factors, our various styles and designs are aesthetically pleasing when raised. Moreover, you can retract them so they are completely out of the way. These bollards give you control over access to designated areas without having to get in and out of your car to adjust anything. They are simply the best solution for convenience and efficiency. Our automatic bollards operate using hydraulic operation. We use hydraulics to ensure your system is reliable and that its components last a long time. 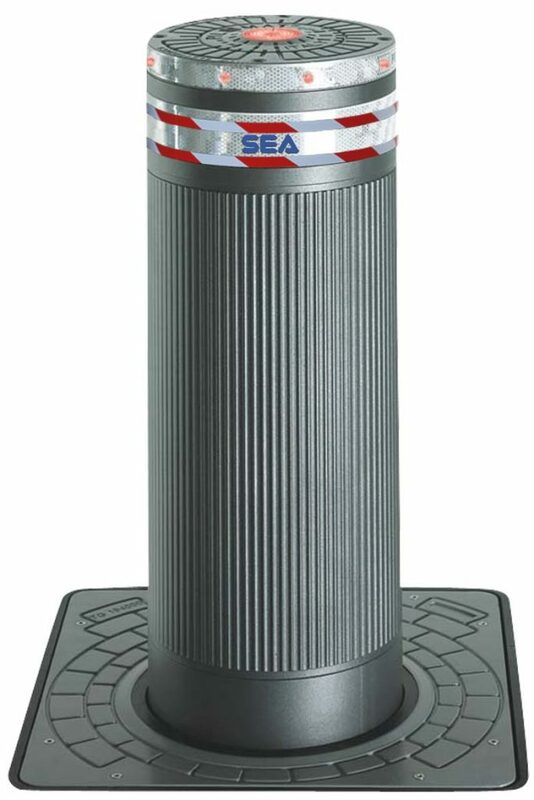 We offer a range of automatic bollard styles and models, including steel and stainless steel. The choice of style and model depends what your using it for and on the amount of crashing resistance required. Whether accidental or intentional, traffic bollards are a cost-effective, efficient solution to prevent unwanted vehicle access to your business or property. At Brisbane Commercial Gate Systems, our bollards include an antiterrorism model complete with a 700,000 Joule crashing resistance. The return on investment is high. Consider the damaging effects of a car crashing into a part of your building, or even worse, if it crashes into a person. Whether an office building, a college, a library, a hospital, the vehicle bollard is an essential safety feature on any property. Our professional, experienced team can help you find the right automatic bollard best suited to your commercial business needs.